He's five-feet-nothing. A hundred and nothing and has hardly a speck of athletic ability. But POP! 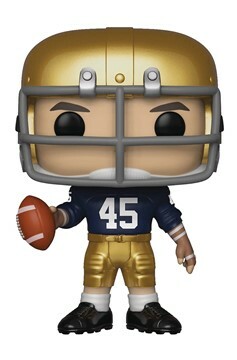 Rudy makes for one heck of a vinyl figure. 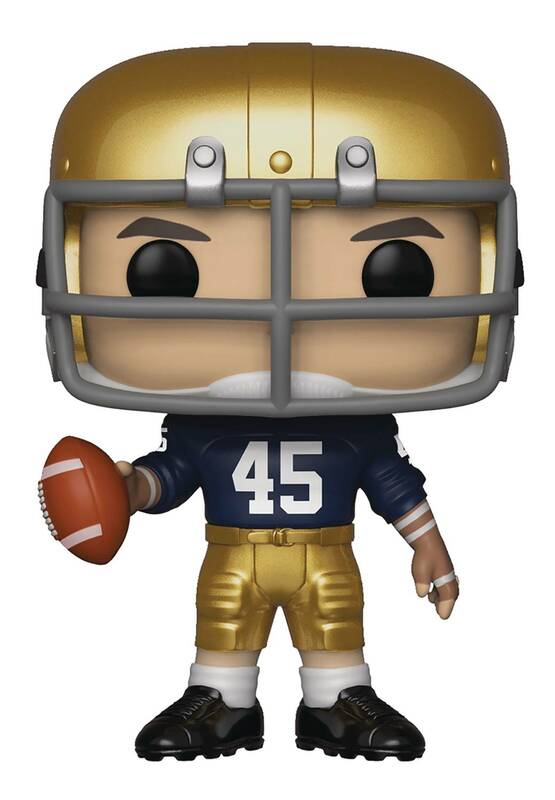 The titular character in the 1993 motion picture, portrayed by The Lord of the Rings' Sean Astin, is Funko's latest addition to its Pop! Movie collection. Daniel Ruettiger, simply known to fans of film and football as Rudy, arrives in classic Notre Dame Fighting Irish blue and gold. Figure stands 3 3/4' tall. Window box packaging..